KINGSTON, Jamaica, Jun 1, CMC – The United States is providing US$4.5 million in funding for projects and other activities over the next four years under an agreement with signed with Jamaica for a Child Protection Compact (CPC) Partnership, which is aimed at combating the trafficking of children here. Permanent Secretary, Ministry of Foreign Affairs and Foreign Trade, Marcia Gilbert-Roberts, who signed the Memorandum of Understanding (MOU) with Chargé d’Affaires at the United States Embassy here, Eric Khant, said that the objective of the partnership is to save Jamaican children and at-risk youth from being trafficked. “One of the most valuable assets for the future of any country is its young people – our children. 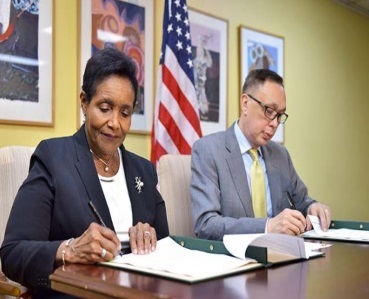 We are pleased, therefore, that Jamaica was invited by the Government of the United States to participate in this project,” she told the signing ceremony on Thursday. 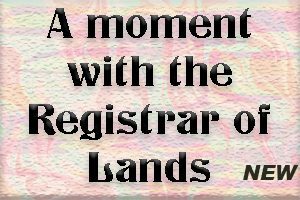 She said that the MoU signing represents another milestone in the relationship between the two countries, noting that ‘without partnerships of this kind, our journey towards achieving our targets under the sustainable development goals and Vision 2030 would certainly be more extensive and arduous”. Khant said Washington is pleased to be partnering with Jamaica on this initiative, and stressed that human trafficking is a very serious offence which must be eliminated. He said the four-year agreement will help to strengthen Jamaica’s ability to prosecute and punish traffickers, identify and provide comprehensive services to victims and prevent these crimes from happening. “Our hope is that together, we will be able to eliminate child trafficking altogether in Jamaica and the wider region,” he added. Jamaica is the fourth country to have been selected for a CPC Partnership and the first country from the Caribbean region. The others are Ghana, Peru and the Philippines.